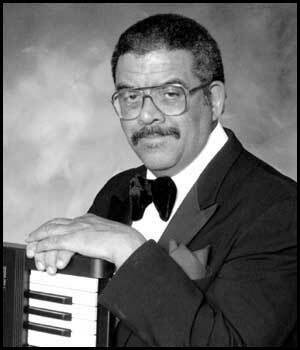 Carl Hines is a pianist/keyboardist who often plays solo piano in restaurants such as the Marker at the Adam's Mark Hotel, Ruth's Chris Steakhouse, Van's in Muncie. He often appears solo or with his Trio at such venues at the Arts Garden, Indianapolis Museum of Art, and many other types of receptions, concerts and parties. One of the busiest bands on the Indianapolis music scene, the Carl Hines Band prides itself on its versatility, experience, spirit, taste, and professionalism. The band performs in a variety of styles--from quiet, tasteful light jazz appropriate for dinner orconversation, to dance music enjoyable by a cross-section of ages and tastes. The Carl Hines Band has many years of experience providing entertainment in a large variety of venues: dances, wedding receptions, private parties, business receptions, jazz concerts, proms, etc. The fees are reasonable and the band is flexible and adaptable to most situations. No rap, or heavy metal, just good, listenable, danceable, foot-tapping, entertaining music. The one word which best describes this band is FUN! Let Carl work with you to provide your entertainment needs.